If your looking for handmade gift ideas, you have come to the right place. 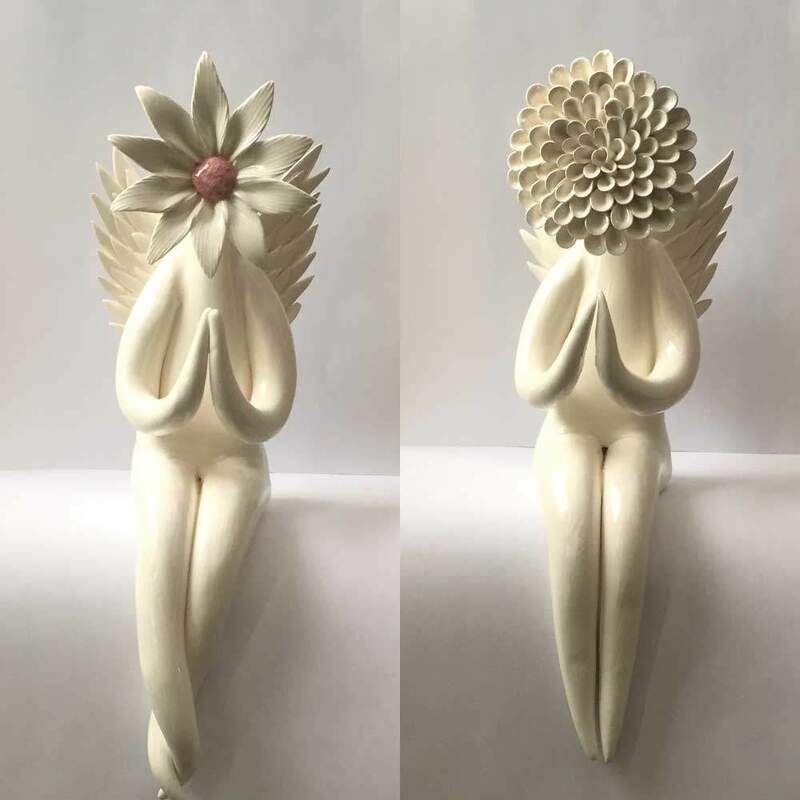 I believe my flower people make perfect unique gifts as I can custom make you a specific flower person or group of flower people which can have attributes/interests relating the the person you are giving it to. 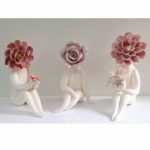 They would make the perfect gift for someone who loves a particular flower or someone who loves quirky art and figurines. Perhaps they just would appreciate a one off unique piece of art work which was made especially for them. Perhaps your best friend it just crazy about daffodils and got a thing about handbags. 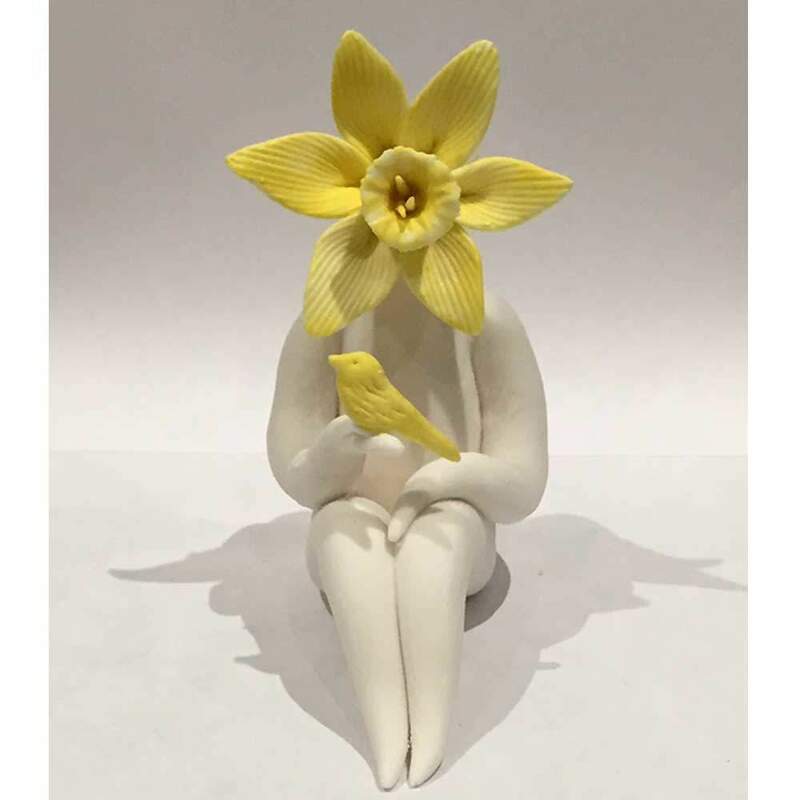 I could create a daffodil flower person sat with a handbag over her shoulder. Or perhaps you want a sculpture which represents your friendship, perhaps two sat on a sofa on log. I can also do them sitting off a shelf and and willing to trying other positions which you haven’t seen on my site. Standing flower people are tricky but possible. I can create whole families, or a couple sat on a log. 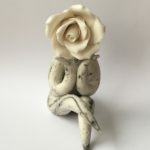 Whatever your imagination can come up with I will be able to make you a unique handmade gift which your friend or partner would love. Plus if I ever get famous one day they might be collectable! I offer commissions where you choose the style and design yourself. If you want a marble finish so like biscuit ware I would recommend using parian clay. 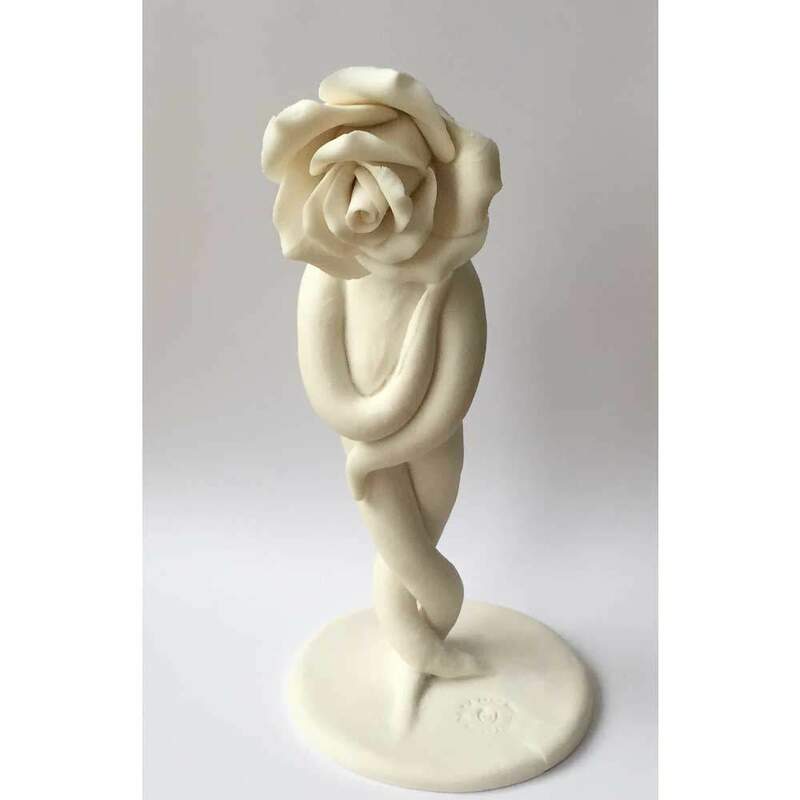 Parian clay is a self glazing clay which you fire just once and gives a more contemporary marble finish. If you want a glazed piece I will use a porcelain/stoneware clay which I have found works the best for glazed sculptures. 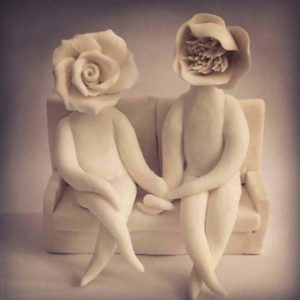 You can choose the type of flowers and whether you want them all coloured, or just the head or just white. 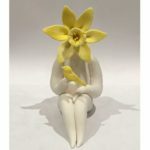 The position of the flower person whether its sat crossed legs, sitting on chairs, sitting off a shelf or whatever you wish. I am pretty good at modelling so if you have an idea which you haven’t seen on my website or social sites then don’t be afraid to ask. I like a challenge. If you want a sculpture commissioned, I will need around 4 weeks to complete. I may manage 2-3 weeks so do ask if you need them sooner. 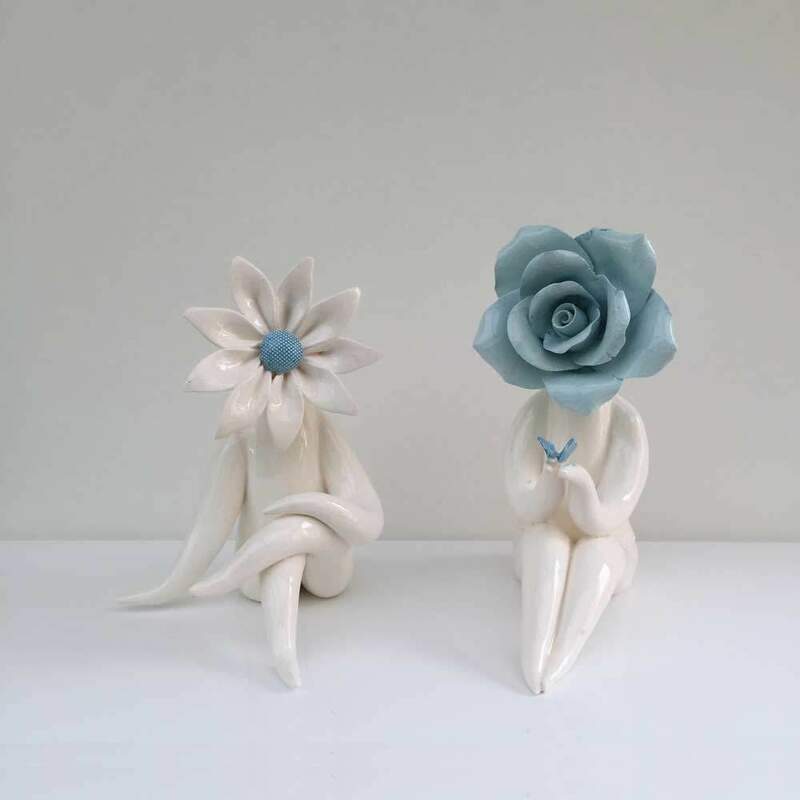 I can make flower people in many sizes. 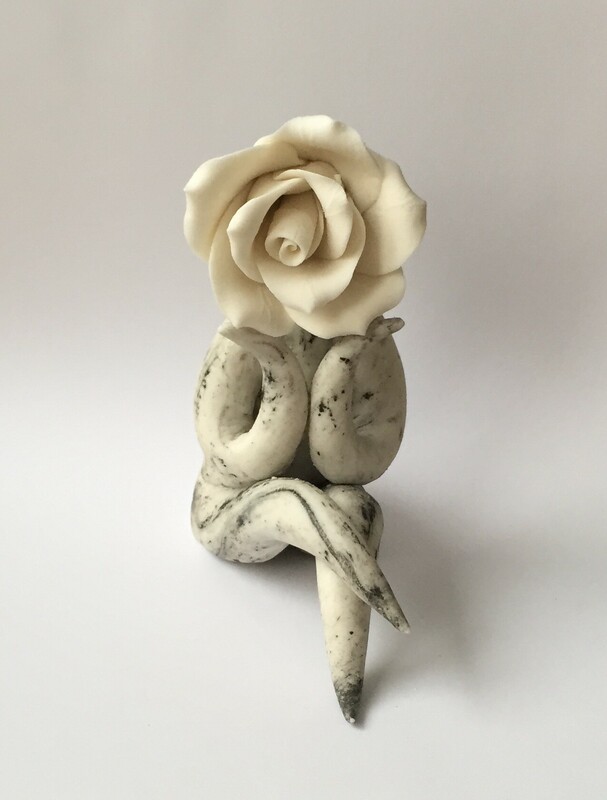 Perhaps one sitting on a chair, or with a cat on lap.. Whatever you want I can try my best to create you a unique handmade gift to treasure. Postage and shipping is £6 for UK, and £12for the rest of the world. When you go through the add to cart process you will have to also pay for the postage. The rest will be due once I have made your item. 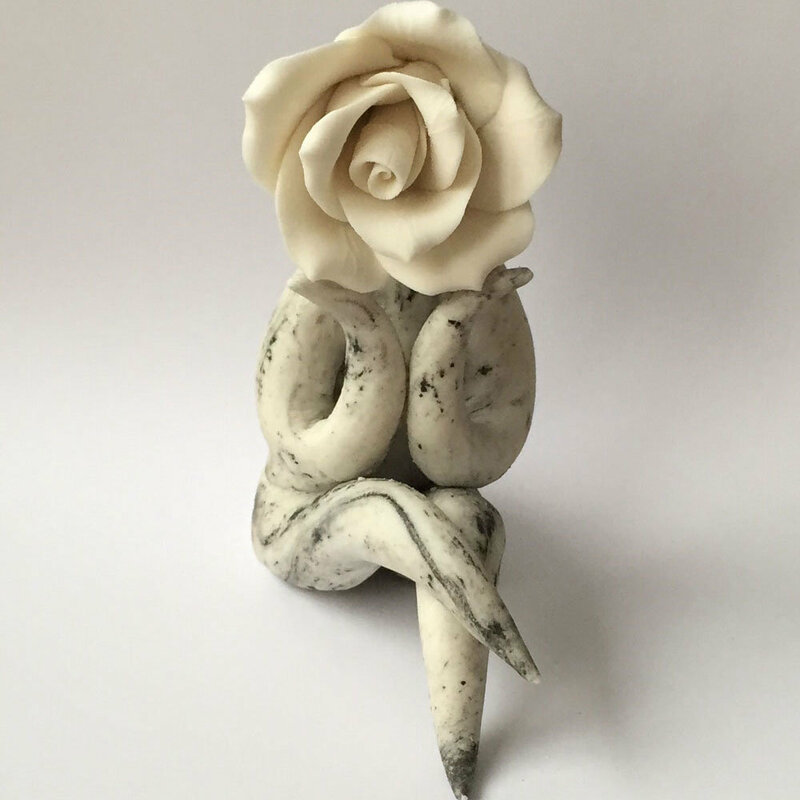 Once I receive your order I will contact you for details of what you want me to make. You can use the form below to contact me first if you wish.